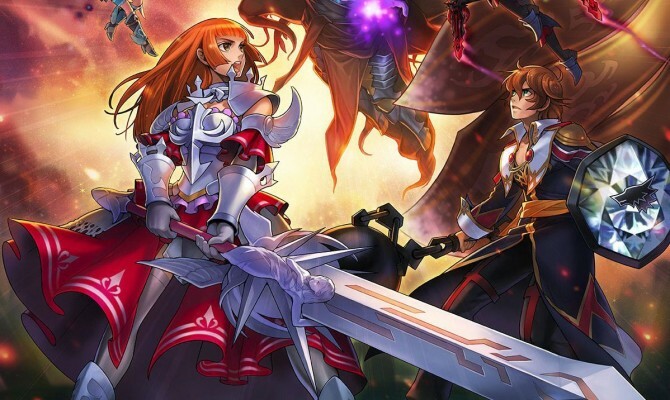 GungHo is a leading developer with some of biggest multiplayer games to come west. Their portfolio includes Let it Die, Ragnarok Odyssey Ace, and Puzzle & Dragons. 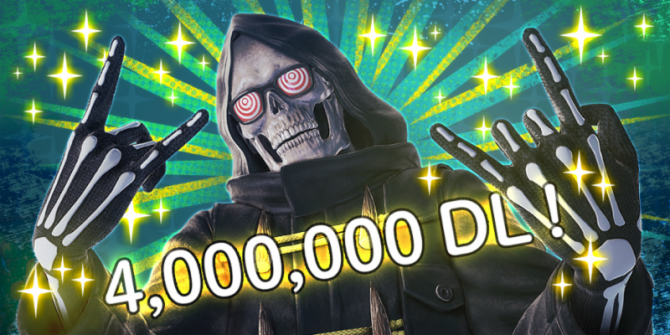 Finding many new fans with the success of the free-to-play action game, Let it Die, the developer is looking towards the future of what they can develop next. DualShockers had the chance to sit down with GungHo’s CEO & Executive Producer Kazuki Morishita and discuss Let it Die and what they have planned for the future of the title. Furthermore, we talk about new IPs, unreleased Nintendo Switch games, and Grandia. Looking into the future, what are Gung-ho’s plans for this year? Kazuki Morishita: So Let it Die has been out since last December. Since then, we’ve hit 3 million downloads globally, but we feel that there is a part of the market that we have yet to reach as users. Our main focus now is to get the title out there and let more people know what it is. Out of those 3 million downloads, do you notice a large amount of them returning to the game? KM: So when it comes to our users, we want to make sure that we have new content for them so that they keep on returning. Another thing is that we listen to the community a lot and open up the lines of communication with our users. When they tell us about issues, we try and fix those issues or things they want to see in the game, we’ll try and work with their suggestions and implement them with updates so that they can continuously play and enjoy Let it Die. Is it difficult to meet the standards of the community? KM: We do feel that it is important to listen to what our users have to say, but it’s difficult to try and take everything in and do everything that everyone wants. However, we do check and see what fits with what we have planned for the game from player suggestions. Is creating a free-to-play game scary for the publisher? KM: Free-to-play is not scary for us, but making games in general is always a scary process. Any type of game comes with some frightening experiences. In that sense, when developing a game, there will be times of fear and confidence throughout the process. The biggest thing to look at when working with both models is whether the game is fun or not. So when Let it Die was first shown to you, did you think it was going to be fun? KM: Our policy is that if we don’t think a game is fun or interesting then we aren’t going to put the game out. With the change of times, I do feel we are going a bit against what is typical. For example: A lot of games that come out this day and age are considered “easy”, but for this game experience we aren’t afraid of giving our players a hard time and beating the crap out of them. 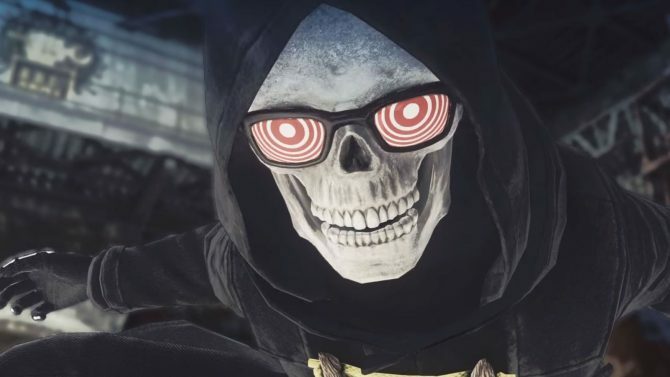 It is in the title, Let it Die, so it comes with a punishing experience, but not to be only punishing, to also teach users that they should be able to get through the game if they prepared themselves properly. Watching some players play: they like to kill every single enemy through the levels, but one element that people forget is that if there’s a powerful enemy in front of you then it’s okay to run away sometimes, it’s apart of strategy. We’re not going for a ridiculously difficult game, but I guess looking at the name it’s safe to say that it might get pretty difficult. In terms of Gung-ho, what can fans look forward from your team in the future? KM: For GungHo we don’t like to stick to one platform. With new hardware coming out, like the Switch, you can expect that we will also be developing something for that. In general what we want to focus on is creating new games and providing new experiences to play, but not only that, we want those experiences to be played in a global market. Up until now, we’ve developed games in Japan and released them in Japan first and then brought them to the west. What we want to do from now on is to develop games in Japan, but to release them globally. What can you tell us about the Switch game? KM: Right now, we can guarantee that one game on Nintendo Switch is in development. The genre will be action and it will be a new IP. As a company do you enjoy creating new IPs where most publishers like to stick to established series? KM: Yes, but we have had title like our Puzzle & Dragons that we’ve made spin-off titles for. As we grow existing IPs we are also developing new IPs. How does GungHo go about finding new IPs? KM: Typically new IPs are created within GungHo. For new games or game concept designs, I will create them first. I’ll look at my development staff and see who has some time, maybe about 3 people or so. Together they will take what I’ve been working on and brush it up a bit. 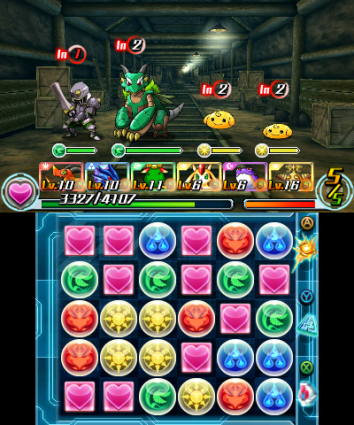 At the very beginning of Puzzle & Dragons, I started off with the idea of a casual action game for the smartphone, but it didn’t have brawling or sword fights. After we gave it a name Puzzle & Dragons it kind of just started to come together, even with its was more action focused background. Until a lot of the development team started to come together on the game, it was just me and two other people working on it. That was a pretty efficient way to develop a game there. Is there any chance that’ll return to the Lunar or Grandia series? KM: Those are something that I didn’t originally create. For me to come up with an idea for those series makes it even more difficult. 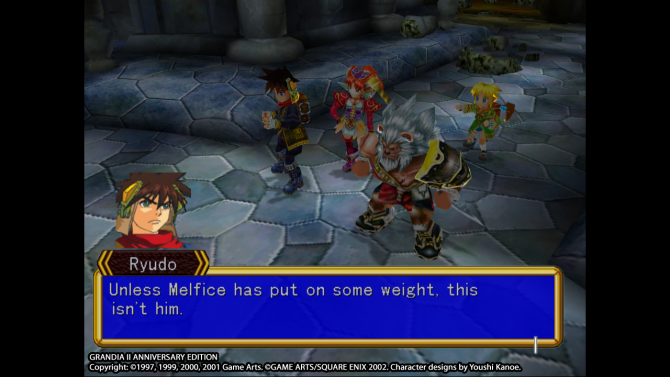 However, It is Grandia’s 20th anniversary this year and they are in our archives. Potentially, we’d like to do something with them such as what we did with Grandia II and possibly bring more of the series to PC. That’s something we’d like to look at in the future.